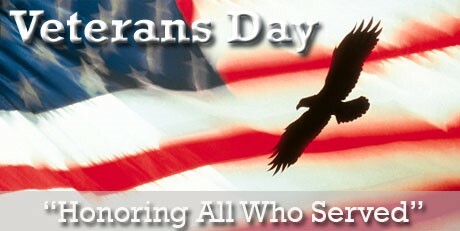 When I was a girl I remember celebrating Veterans Day. There were parades and speeches and going to the cemetery where flags were put on each grave. 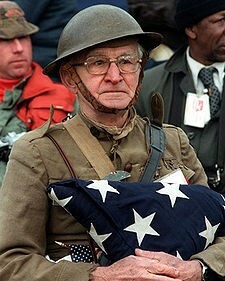 It was a solemn time because we had veterans in my family. The beauty of this particular holiday is that it offers a wonderful opportunity to talk about past wars and present wars, morals surrounding war, the philosophies of war and peace, as well as learning about specific people and places. This is a topic that can keep dinner and car ride conversations going on interesting side roads for a long time. So to get you started here is some basic information on Veterans Day, some projects, activities and crafts and some really good books to delve into as a family. Veterans are people who served in the military (U.S. Army, Navy, Marine Corps, Air Force, and Coast Guard) in times of war or peace. Do you know any veterans? Maybe it is your mother, father, sister, brother, aunt, uncle, grandfather, grandmother, cousin, neighbor, or teacher. You can be very proud of them. Many have given much to keep us safe and free. What is Veterans Day all about? Great Britain, France, and other countries celebrate November 11th as Armistice Day to commemorate the ending of World War I on November 11, 1918. Fighting ceased at the 11th hour, on the 11th day of the 11th month. Canada celebrates Remembrance Day on this same date. • 1919 – President Woodrow Wilson proclaimed November 11th as Armistice Day to remind Americans of the tragedies of war. • 1938 – The day becomes a federal holiday. 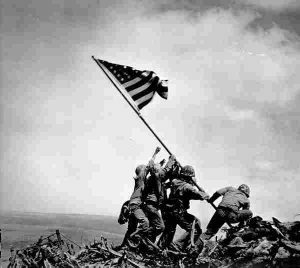 • 1954 – Congress changes the name of the holiday from Armistice Day to Veterans Day to honor all United States Veterans not just those who were involved with World War I. Today, in the United States, Veterans Day commemorates the courage and patriotism of all the men and women who have served in the United States military. World War I, known as “The Great War”, officially ended when the Treaty of Versailles was signed on June 28, 1919. In the United States, the date for this holiday has changed at least once but is now permanently celebrated on November 11, no matter what day the 11th falls on. Teaching young children about Veteran’s Day involves helping them understand bravery, courage, and patriotism as well as explaining about the military and honoring those who have served the country. Take a Veterans Day Quiz to see how much you know and then take it again after your study. Make a patriotic windsock. (Veterans Day craft for kids) Scroll down to the bottom of the page. Make a terrific Veterans Day mobile. Make a Veterans Day necklace out of pins, beads, and wire. Just copy the picture below. Color some pictures that celebrate Veterans Day and hang them up in your room. Do a cool Veterans Day Word Search. Need a word search that is a bigger challenge? Then check out this one. Why not try your hand with a Veterans Day vocabulary word scramble? Watch a Veterans Day video that honors those who serve in the American Armed forces from the revolutionary war to today. This is a great opportunity for parents to share their views on war with their children, the value of peace, why wars happen, when should a country fight, when shouldn’t war be fought, ways to prevent war, what does God say about war and so forth. Create a timeline of events leading to the observance of this holiday. Make a thank you card for veterans. Children can give this card to veterans that they know or to veterans who are listed through the local VA medical facility. Invite a veteran to your home. Veterans can discuss what it’s like to serve in the military, and how important it is to observe this holiday. Maybe you have a relative who is a veteran or contact your local veterans’ group for names and numbers. Have your kids make a colorful and fun poster with the names and pictures of relatives who are veterans. Focus on the lives of heroes from America’s wars. George Washington and other famous veterans can serve as a powerful inspiration to young children.